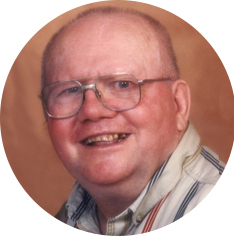 Jacob H. Wiebe, aged 83 years of Moose Jaw, SK, passed away peacefully on Monday, January 25th, 2016. Jake was born on January 16th, 1933 at Hochfeld, MB. He moved to Moose Jaw after separating from his first wife. This is where he met his common-law wife Elizabeth (Lecaine) McKenzie. In 1980, they made a home in the town of Mortlach, SK. Jake enjoyed watching his westerns, time outdoors going camping and fishing, and attending Pow-Wows with Liz. He loved to tell stories about truck driving as this was his loved career. He was predeceased by his parents, Jacob Wiebe and Sara Giesbrecht; stepmother, Elizabeth (Janzen) Wiebe; brother, Peter Wiebe; sister, Tina Thiessen; common-law partner, Elizabeth (Lecaine) McKenzie; stepson, Howard McKenzie; and stepdaughter, Lori (McKenzie) Herbert. Jake will be sadly missed by Carey (Tim) Herbert and family; Kara (Randy) Wiebe-Stenger and family; Clayton (Lynn) McKenzie and family; son, Jeff Bohrson and family; Shallen Cannon and family; sisters: Marie Meleck, Sara Seaver and Susie Peters; 8 children from his first marriage; as well as many nieces and nephews. A heartfelt thank you goes out to Extendicare for the excellent care they provided to Jacob while he was a resident there. In keeping with Jacob’s wishes, no Funeral Service will be held and a private family interment will take place in the spring at Wood Mountain First Nations Lecaine Family Cemetery. As an expression of sympathy, donations in Jacob’s name may be made to the Saskatchewan Brain Injury Association, PO Box 3843, Regina, SK S4P 3Y3.